Calling all parents and caregivers that want to be prepared for life threatening emergencies! This important class will cover the basics of CPR for people of all ages. 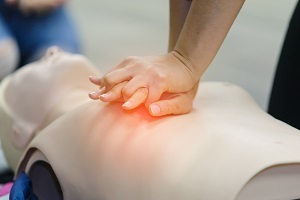 Hands on practice with manikins and an automated external defibrillator will empower you with confidence and skill to deal with life threatening emergencies such as choking, cardiac arrest and respiratory arrest. These skills buy precious time while awaiting emergency medical assistance.